When is a weapon only a toy? 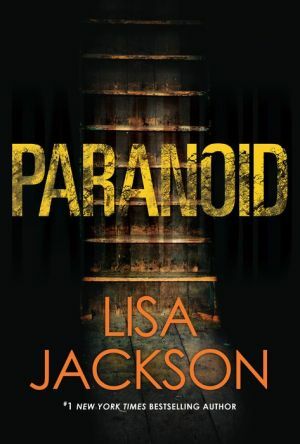 In this riveting page-turner from #1 New York Times bestselling author Lisa Jackson, a woman haunted by guilt realizes that nothing can be trusted--not even her own memory . . .
Rachel still has no idea how a foolish teenaged game turned deadly--or who replaced the soft pellet air gun she thought she was using with a real weapon. When a figure leapt out at her from the darkness of the old fish processing plant, she fired without thinking. Too late, she recognized her half-brother, Luke, and saw the blood blooming around his chest. Despite counseling, Rachel's horrifying dreams about that night have never stopped. In a small town like Edgewater, it's impossible to escape the past, or avoid rumors and gossip. Busy raising two teens after her divorce from detective Cade Ryder, she'd rather not attend her upcoming high school reunion, though she agrees to help track down alums for the gathering. But as Rachel confronts old memories, she feels her imagination playing tricks on her, convincing her that objects in her house have moved. That there's a hint of unfamiliar cologne in the air. That someone is tailing her car. Watching her home. Cade knows his ex is highly strung. Rachel's anxiety played a part in their split, though Cade takes his share of the blame too. Yet maybe this time, she's right to be scared. And as connections surface between a new string of murders and Luke's death, Rachel realizes that the truth is darker than her worst fears . . .